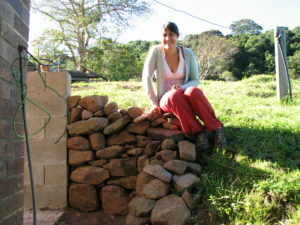 How long have you been with WWOOF Australia as a Host? We have been hosts since 2009. Why did you choose to be Hosts? Our neighbour’s were hosts and this young German guy applied to them and they did not have time to host him. So they suggested we host him and we did. He was amazing, very good worker and a lovely young man to have around. What has been the best experience for your family being a Host? There are so many! We are still friends with two French brothers who came in 2009. One of them lives in Sydney now and we catch up occasionally. When our kids were little they actually cried when one of our WWOOFers had to leave again, we think it was great for our children to have these young people to get to know. 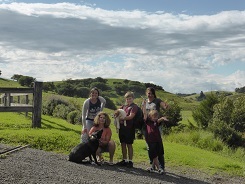 We enjoy taking our WWOOFers along on family outings, showing them the local sights. It looks really good and it is great that we can have a profile now and upload photos. And the map search must make it so much easier for travelling WWOOFers to find a place along their route. 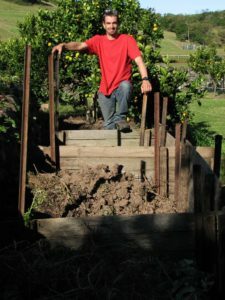 How is WWOOF Australia’s customer service? I have always had very quick responses and the office people have always been very helpful. 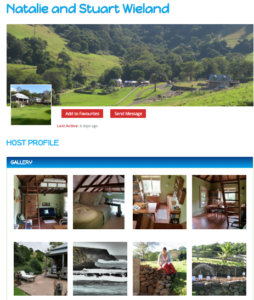 Would you encourage other Properties to become Hosts and why? I tell everybody with a property about it. I think it is a great concept and we might even work as WWOOFers ourselves in Europe one day. Australia is an expensive place to travel so the free accommodation and food must make it a lot easier for backpackers. Also they get to speak the language, learn about Australian culture and really explore the area. See how the locals live, not just the Tourist experience. And hopefully get to learn about sustainable living and agriculture.